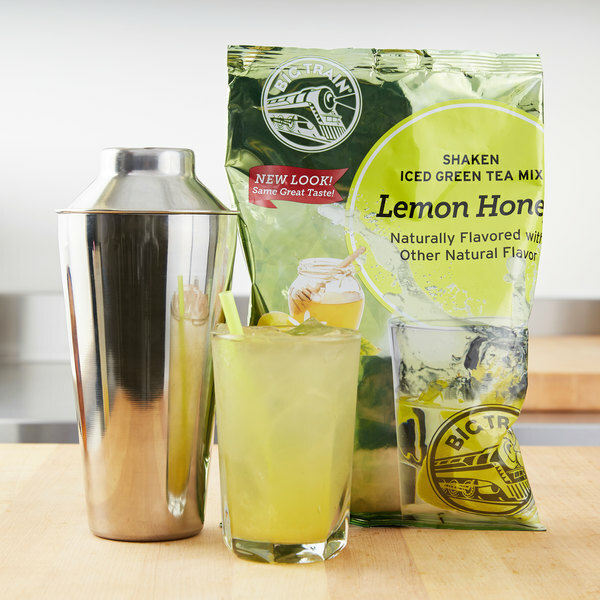 Introduce this Big Train shaken lemon honey green tea mix to the menu at your coffee shop or cafe! Made with green tea extract and natural flavors, this powder mix will make cool and refreshing drinks that guests of all ages can enjoy. 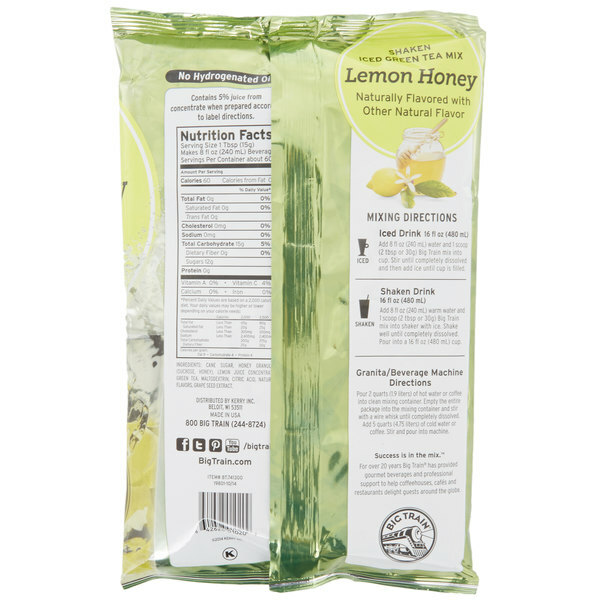 The tart, citrus flavor includes hints of lemon, honey, and real cane sugar. The caffeine content in the green tea will provide the perfect pick-me-up anytime during the day. Use this mix to offer profitable green tea drinks at your venue and satisfy your patrons' cravings for something new! It's easy to prepare, whether you're serving it shaken or iced. Simply stir it in a cup with water and ice to make a sweet, summertime drink in no time. With a name symbolizing strength and constant motion, Big Train has expanded into a global foodservice brand you can trust with a large number of diverse products to choose from. 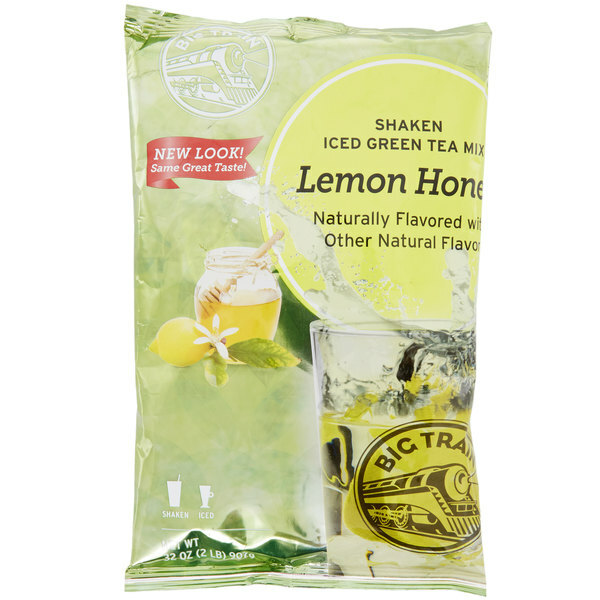 Big Train has become a leader in the specialty beverage mix industry, delivering easy-to-make and consistently-delicious products, including this Big Train shaken lemon honey green tea drink mix! For a 16 oz. iced drink, add 8 oz. water and 1 scoop Big Train mix into cup. Stir until dissolved and then add ice until cup is filled. The Big Train shaken lemon honey green tea drink mix is great. Our guests love the sweet and healthy option at our diner. The mix is easy to prepare and tastes wonderful.